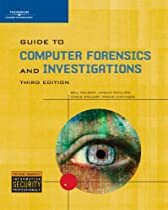 Master the skills necessary to launch and complete a successful computer investigation with the updated edition of this highly successful book, Guide to Computer Forensics and Investigations. This text will teach readers how to conduct a high-tech investigation, from acquiring digital evidence to reporting its findings. Coverage includes how to set up a forensics lab, how to acquire the proper and necessary tools, and how to conduct the investigation and subsequent digital analysis. The comprehensive coverage and detailed know-how led to the book being listed as recommended reading by the FBI Forensics Communications the United States Certified reading room.The book features free downloads of the latest forensic software, so students become familiar with the tools of the trade.